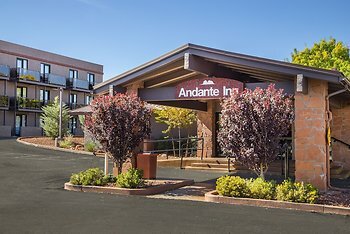 Hotel Andante Inn of Sedona, Sedona, United States of America - Lowest Rate Guaranteed! The white bed spreads.Was cold the first night ask for a blanket. It was on our beds the next night. The pool, the fridge and microwave in the room, and the breakfast. Rooms were clean and OK, halls, elevator, stairs are depressing and look like a dump. Breakfast was mediocre.